Old “El Rancho Robles” Dude Ranch in Oracle, AZ, a photo by SearchNetMedia on Flickr. 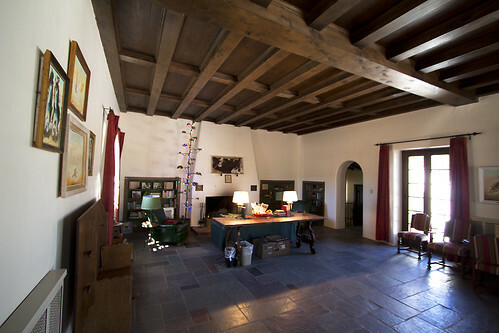 What was the 1930’s El Rancho Robles Dude Ranch in Oracle, Arizona is now open as the Retreats at El Rancho Robles. It has been newly restored to its past glory, a wonderful group retreat and event facility. It is a beautiful setting. 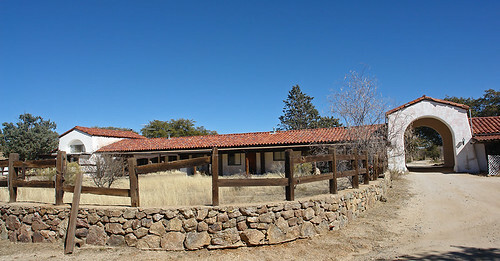 Visit their website to see accommodations and photos – elranchorobles.com. Oracle, Arizona is a great place to take photos too. To view our SLIDESHOW of Oracle, Arizona – CLICK HERE. Rattlesnake, a photo by SearchNetMedia on Flickr. 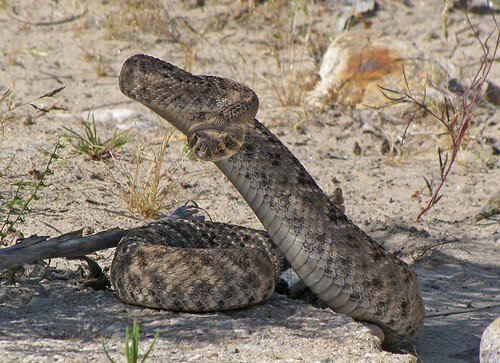 We have spotted two large dead rattle snakes in the neighborhood during the last couple of weeks. As the temperature at night drops into the 60’s and 50’s, these venomous snakes may seek warmth on the neighborhood streets. Bring a flashlight on evening walks. Also, consider Professional Snake Avoidance Classes for your Dog. We are not associated with, nor do we endorse the one in the link above, but we are sending a dog to this one for training. The snake in the photo was one we encountered while walking another dog in the Rillito River in Tucson. We never saw it as we walked right up to it and were close enough for it to strike. They stay so well hidden in the shadows. So, be cautious out there! Space shuttle Endeavour over Tucson, a photo by SearchNetMedia on Flickr. Alan H. Curtis, Tucson area resident, is best known for his “plein air” style of impressionism. His paintings capture the beauty of the American scene, from the dynamic landforms of the desert to waterlily-filled ponds of Eastern Massachusetts and the golden hills of Northern California. Curtis has spent his life recording on canvas the scenes, people, and places most important to him. Among the recordings are paintings of his six children. 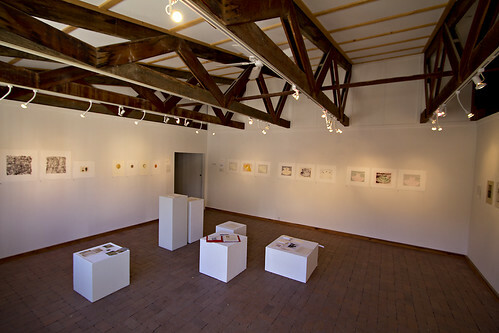 His current studio is in Northwest Tucson. Alan Curtis’ studio gallery is open for private showings only. CurtisGalleries.com, the online studio of American Impressionist Alan H. Curtis. Curtis’ work, which has been featured in American Art Review magazine, holds a unique ability to capture both subtle and dramatic emotions. His paintings and prints reflect his talent for capturing diverse American themes, such as a hot eggs-and-bacon breakfasts, dramatic Southwest landscapes, California’s blooming hillsides, and the flower harvesters of Half Moon Bay. Rancho Linda Vista Gallery, a photo by SearchNetMedia on Flickr. Click here for the RLV Gallery Schedule. Acadia Ranch House Museum, a photo by SearchNetMedia on Flickr. 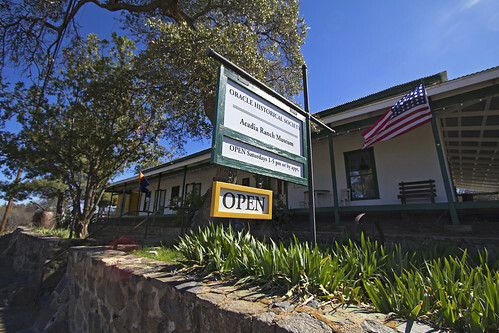 For more information, visit them at Oracle Historical Society. Kannally Ranch House, a photo by SearchNetMedia on Flickr. Oracle State Park, a photo by SearchNetMedia on Flickr. 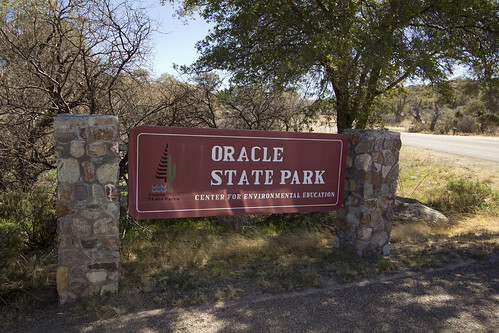 Oracle State Park had its Grand Re-Opening last month. 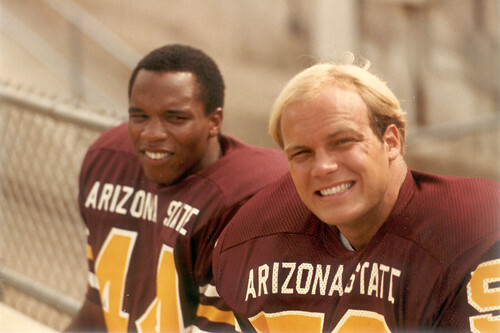 Visit Arizona Highways blog has some great info about the Re-Opening. With the so weather perfect, this a great time to visit. 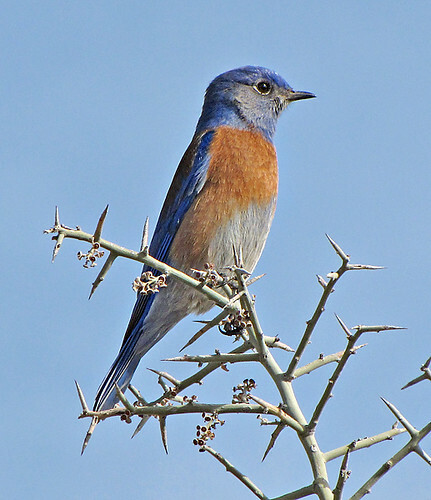 Western Bluebird, a photo by SearchNetMedia on Flickr.